Be Proud of Your Dog! ​Good Manners & Proper Social Skills don’t come naturally to most dogs– they must be taught how to be a polite & welcome canine companion. The best way to teach them these essential skills is by using appropriate management and scientifically proven positive reinforcement techniques- praise and reward. Our “dog-friendly” programs teach your dog his basic manners and can resolve issues that may be bothering you. We can also get you started if you plan to participate in great canine activities like agility, rally, freestyle, tracking, therapy dog work, and more! 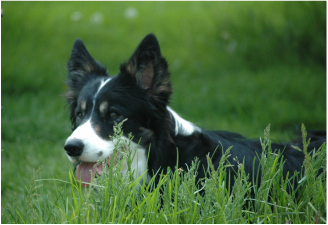 Lynn’s philosophy on training dogs is to understand why they do what they do, and to use scientifically proven positive reinforcement techniques and good management to teach new skills or elicit any behavior modifications that are necessary. Training and living with dogs should be fun and rewarding, and both humans and canines should enjoy the training experience!